The sturdy steel frame and hammock-style design of this ball cart is perfect for all of you coaches out there who run fast-paced drills. 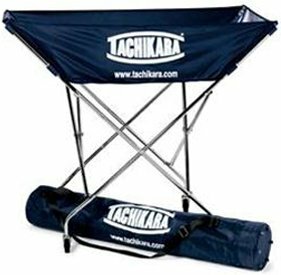 Holds up to 24 inflated balls and is completely collapsible for easy storage. Order this ball cart and we'll include a nylon carry-bag with an adjustable shoulder strap. Balls not included.